Our hearts are broken; we have lost a wonderful teacher and friend. Miss Vickie Dyer was one of the most caring and kind people on earth, and we will miss her terribly. 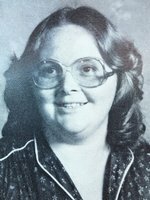 Please click here to view a slideshow featuring a few images from the many years Miss Dyer taught at Bulls Gap School.